Available for daily and weekly rental in the Las Vegas area are Port-A-Cool® evaporative cooling fans delivered by The Caterers Inc. Our portable cooling fans are very efficient and easy to maneuver as they are mounted on casters. 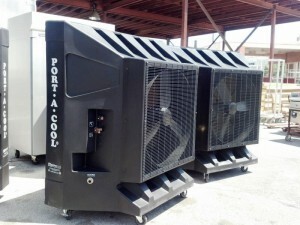 With a cooling area of 2650 sqft, these variable speed air cooling unit are great for pool areas, outdoor events, under tents, on the sidelines, back stage, in the stable, garage, jet hanger, warehouse or shop, and on your patio. 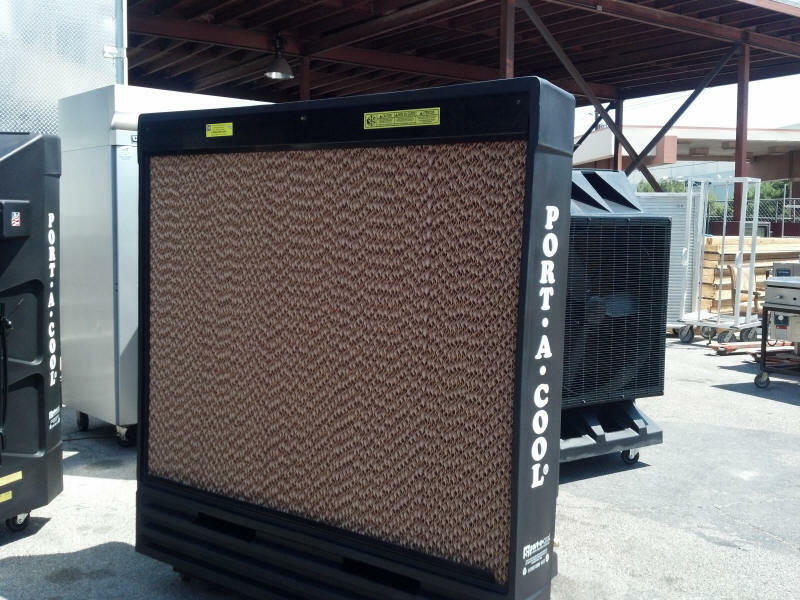 NOTE: An evaporative cooling fan produces effective cooling through a water evaporation process of moving air through moist pads where it is cooled by evaporation and circulated through your facility or area by a large 36″ blower fan. This evaporation process can lower the air temperature by as much as 30 degrees. It is not a misting system. If the Air Conditioning in your store goes out this summer, emergency relief is just a phone call away! It’s best to plan ahead but if the A/C in your store or school goes out, cool air is just a phone call away.